Virginia Wesleyan University provides a rigorous liberal arts education to students from a variety of backgrounds and regions, and empowers them to do great things with their lives. With online academic programs in fields such as Criminal Justice, Business, and Social Science. Our goal is to provoke curiosity in our students and to encourage them to change their world. Learn in a convenient online format and prepare to achieve your goals with VWU Online. 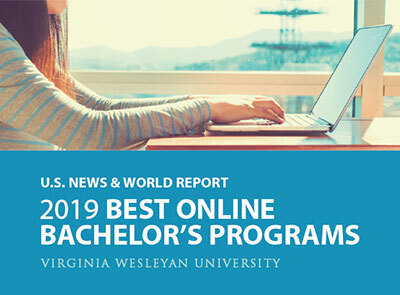 Virginia Wesleyan University offers selected programs online, including three undergraduate degree-completion programs. The University’s inaugural graduate program is an online Master of Business Administration. A second campus-based master‘s program in education is also offered.